Today I’m at AfricaGathering, a small conference focused on tech in Africa. I was at the first one in London earlier this year, and we had a great time, so I hope this will be just as good. 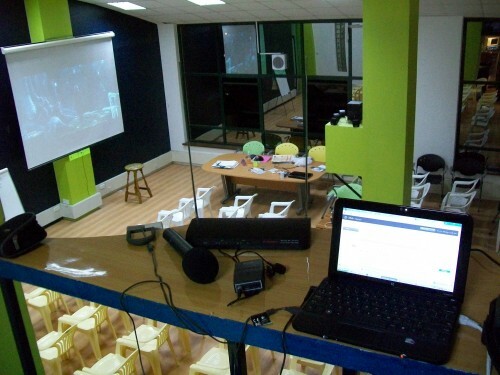 This is the third one of it’s kind, but the first to take place in Africa – in this case Nairobi, Kenya at the British Council. I’ve decided to do one long running post today, where I’ll just keep adding to the post as the day goes on – refresh the page for more. Right now Agosta Liko, a smart tech businessman who runs Verviant, is talking. He launched PesaPal just 2 months ago as a web-based mobile payments system for Kenya. Now that I’ve moved back to Kenya, I’m looking forward to trying PesaPal out in person. There is no consumer oriented web payment system in Kenya. It’s a way for the unbanked (and banked) to buy online in Kenya. Agosta thinks that they are well positioned to be the most efficient transaction system in Africa. 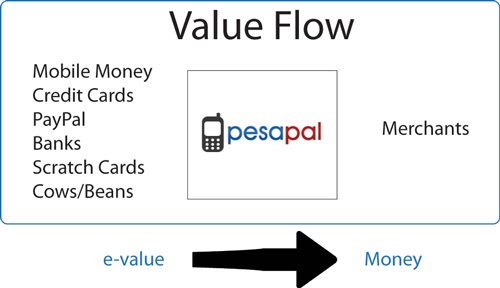 PesaPal is trying to find equilibrium between value, payment systems and real money. Making a transaction of beans or cows equivalent to one made by credit cards or PayPal. The transaction rate for merchants holding an account with PesaPal is currently 2.75%. PayPal, the closest comparable online payment system is set at 2.9%. 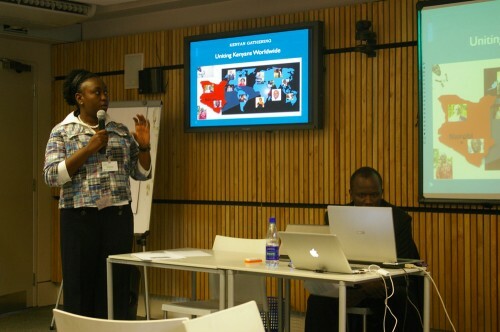 Jane Munga is here to tell us about a social movement called Kenyans for Change (K4C). They’ve been working on uniting Kenyans worldwide, starting with a group on Facebook and quickly moving around the world with 10,000 users in the diaspora and in Kenya itself. It’s a voice for national reform online. Jane is talking about what’s needed to restore hope in the “Kenyan Dream”. This dream is defined by the Harambee spirit, equality, national unity and sound leadership. With last year’s post-election violence, the poor state of roads and hospitals and all the other ails that we face in Kenya, it’s a hard sell. What’s interesting to me here is to see that the impetus for this initiative seems to come from the diaspora, after all, Jane lives in Alabama most of the time. This begs the questions, will it take the diaspora taking part to make real change happen? One of the projects that Kenyans for Change is working on is called Project Amani (“peace” in Swahili), focused on the youth by the youth. Molly Mattessich is here to talk to us about an initiative by the US National Peace Corps Association, Africa Rural Connect is an online platform with a mission to connect current and returned Peace Corps Volunteers with the African Diaspora, development practitioners, scholars, technologists and innovators to discuss rural agricultural development challenges and solutions in Africa. 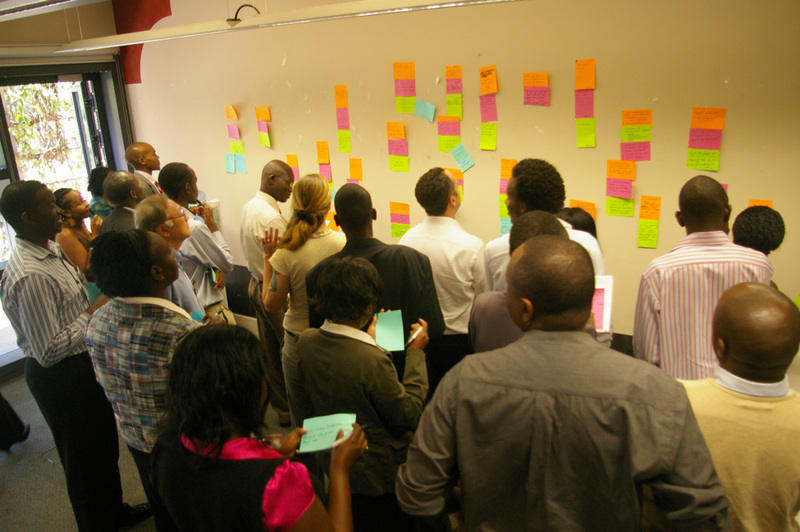 ARC is a way to use global collaboration to solve endemic agricultural issues across the continent. They focused the project on two main groups. First, Peace Corps Volunteers who have lived in the rural areas and who have a good understanding of what is going on at the village level as they lived there for two years. The second is the Afrian diaspora living around the world. The $20k grand prize winner is actually here in the room, Jacky Foo with his “The Ndekero Challenge: A Systems Approach for Rabbit Keeping by a Rural Community in Partnership with a Commercial Rabbit Farm”. The ARC project is built on Wegora, a tool that’s part blogging, commenting and voting. It’s built specifically for use by communities and collaboration amongst them. It’s really well designed platform and I’d expect to see it used by a lot of other organizations in the future. We’re currently running through a workshop on collaboration (Low-tech social networking), where we write down our “big dream” and the steps we need to get there. Others in the room can then come up and offer help on what can be done to make it happen. Rose Ohingo and Ann Muthui (who’s in charge of the social networking side of customer service) are here to talk about how Kenya Airways has created an online presence and a social networking strategy. They are here to talk about how the airline is using social media networks like twitter to attract new business and keep in touch with itâ€™s client base to great success. Look for Kenya Airways on Twitter at @KenyaAirways, on YouTube and Facebook. What have we learned about “being out there“? First off, people are surprised and impressed to find Kenya Airways interacting with them on social networks where they are online. Where they build relationships with people on a personal basis. People try to verify if it really is a KQ representative, and then they dig even deeper trying to find the names of the people behind the account(s). 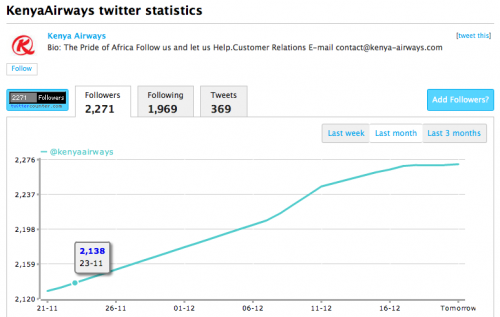 Using analytics, Kenya Airways really tries to understand who is following them and who is interacting with them online. It turns out that 17% of their Twitter followers are travel guides, they have almost 2200+ followers, and their greatest growth has been 26% in the month of December (more stats). Marketing on social media has been very successful, case-in-point was the KQ tweet on the ability to use Mpesa to pay for flights using mobile phones. Kris Senanu is here representing Access Kenya, one of the countries largest ISPs, which services the corporate market. Kris will be talking about: “Fibre â€“ the dawn of a new era”. In 1995 Kris was graduating out of college, and the fastest internet connection you could get was 9.6kb and you needed a phone line – at that time there were only about 210,000 working phone lines, most within Nairobi and Mombasa. If it was raining, you had even less of a chance getting online. Times have changed. Ultimately, the world is now flat, now that we have fibre in Kenya – we can compete and connect at a global level in ways we could never do before. Job creation and lifestyles will change as knowledge workers, who are needed in the new economy, now have access to the same level of connectivity as anyone in else in the world. Africa would have followed Europe and the West by going towards eCommerce – we have the ability to leapfrog that and go straight to mCommerce. We have the ability to do transactions that you would have spent a long time doing before, getting in 2 hour long lines and dealing with city traffic, just withour mobile phones. 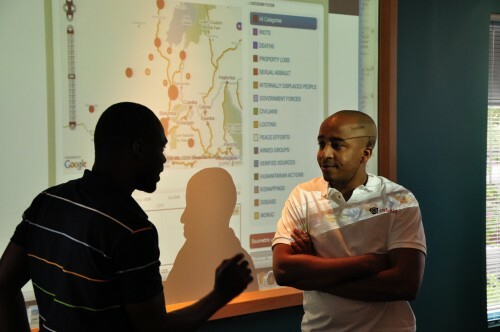 Technology is a key enabler and facilitator for our transformation in Africa. I agreed with Kris about the technology gap decreasing. I asked him if the challenge wasn’t any longer a technological one, is it a cultural one? Is it an issue of Africans using technology in a way that truly makes them equal on the global level – on time, reliability, quality? Kris had a brilliant answer, starting with Kenya having a culture of excusability, where peopel always have an excuse for why things are late or shoddy. He then went into the difference between “Matatu-time” vs “train-time”. The train leaves at 8:05 on the dot, if you’re not on it by that time, your loss. Matatu-time leaves at 8-ish – time isn’t as important. This cultural understanding of time is an area where there is a gap that might be the biggest issue between Africa and the rest of the world. 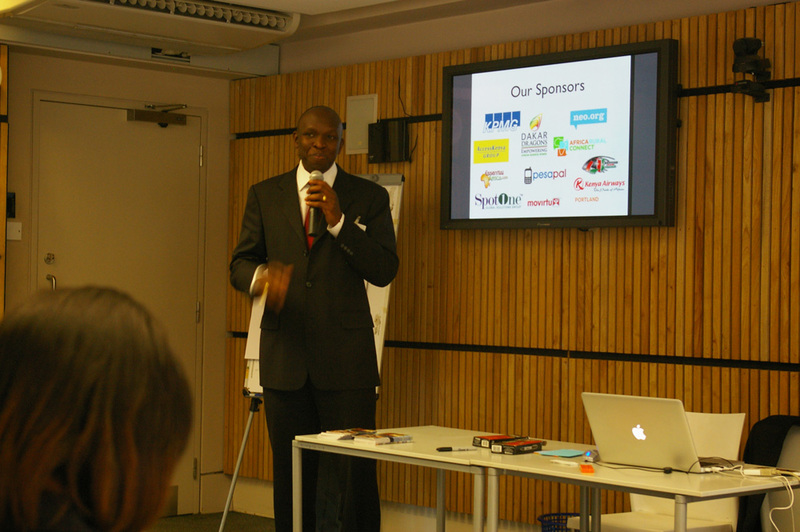 Kris goes on to talk about the way Access Kenya grew from being a company that dealt with corporate clients. They would rather pass up business than deal with consumers. Now however, they found that they had excess bandwidth, especially in the evenings – so they decided to create a consumer-focused service. This hasn’t worked out so well. Kris fell on his sword, stating that they are trying to improve their consumer services, but they are no where near where they need to be and are trying to make it better, trying to make it as good as their corporate services. Jimmy Gitonga & Juliet Mukunga are here to talk about Essential Africa, an African search engine, portal, and free web directory with comprehensive listings covering all African countries on one single virtual platform. 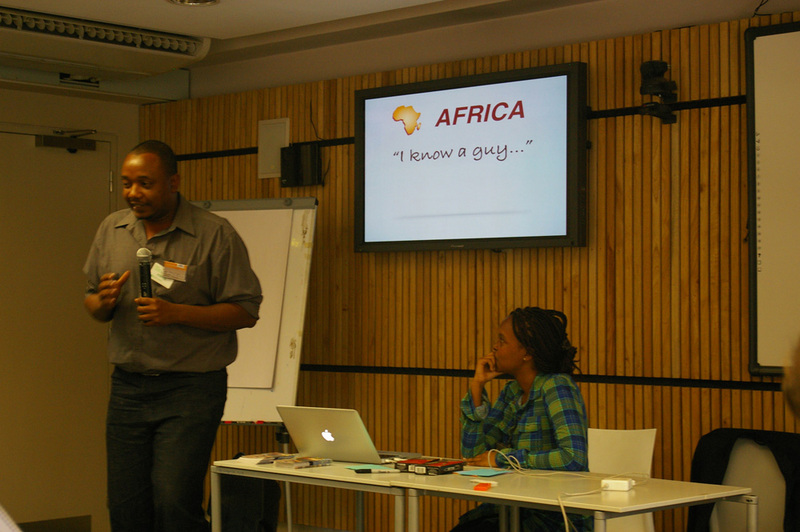 Jimmy tells us how in Africa, there’s not normal street names or directories for things. In Africa, you need a guy. As in, “I know a guy…” who can help you as you’re trying to find something. An example, you’re trying to plan a trip across Africa on a bicycle, how do you know where to stop, eat, sleep and visit? There is no directory. There is no content. This is why they created Essential Africa, a way for people to get a free African listing. He gets an address, map directions, contact number, and a description and a URL to the company’s website. Essential Africa has been at it for two years. They started with spidering the web (with limited success) and then getting people to start entering their own information. It’s been a long road, but they’ve started to gather a lot of information, a lot of listings for organizations and small businesses who have never been on the internet at all. They are hoping to be the African “human” search engine. It’s built for computer and mobile devices, covering all African countries on one single virtual comprehensive platform. They’re hoping to be the gateway for Africans and the friends of Africa who are visiting. Christine Ogonji is here as one of the newest members of Movirtu. They are creating a way for poor people to share a phone, but not a phone number. They target services to the bottom of the pyramid, for profit – the classic “do well by doing good”. Out of 3.4 billion people in the world who have a handset and a SIM card, 1 billion only have a SIM card, but no phone. Their income is $1-2 per day, but they spend 5-30% of their income on mobile communications. Funding for Movirtu has come from Gray Chost Ventures and Grassroots Business Fund. Right now Christine says that Movirtu is looking to provide an Mpesa-like account for people using the virtual phone numbers. The name for this service is MXPay, and is going to have mobile money integration with a regular account and one time use. Distribution of monies or acceptance of payment from specific people below the poverty line who do now own a phone or a SIM card. They’re targeting their first 1 million customers in 2010. A big thanks to Ed Scotcher and team for today. 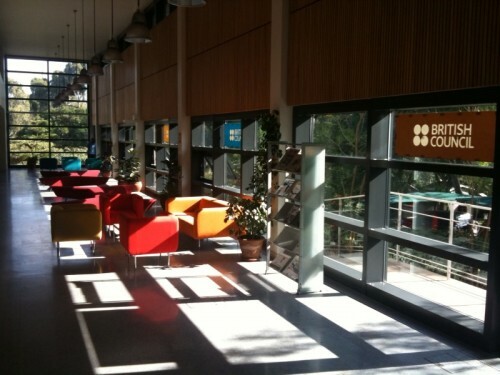 Tomorrow is the big “open” day here at the British Council. Get here by 9AM if you want to get a seat. I’ve spent the last couple days in scenic Salzburg, Austria with 20 other people from both traditional journalism and new media backgrounds. Our goal: discuss strategies for more effective engagement and investment in “tomorrow’s media“. There are a mixture of organizations in the room, some established and others start-ups, like myself representing Ushahidi. I don’t think it’s as early as most people think. There are a lot of people out there who claim they need funds in order to build a product. I disagree. Your first job is to build it. It might be in your nights and weekends, but that’s to be expected. Yes, at a certain level you need funding that allows you to live, feed yourself and grow a business, but that’s not until you actually have something to show. Why would you expect someone to pay you money for a good idea? 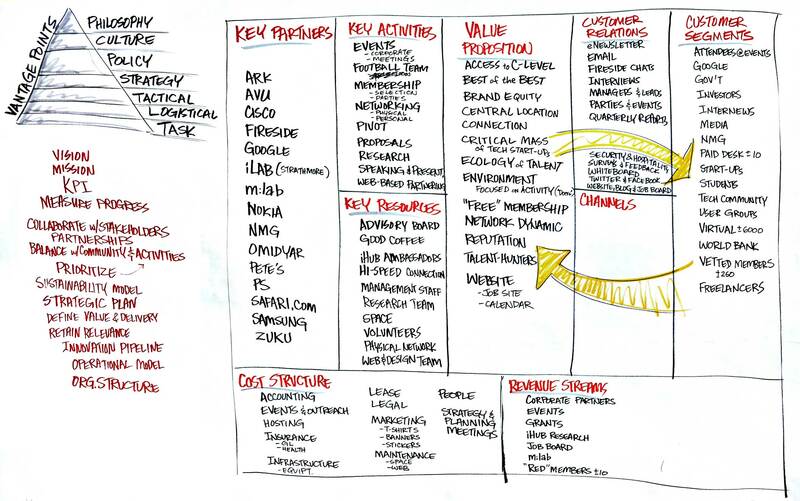 There are good ideas everywhere, but few examples of great execution upon these ideas. 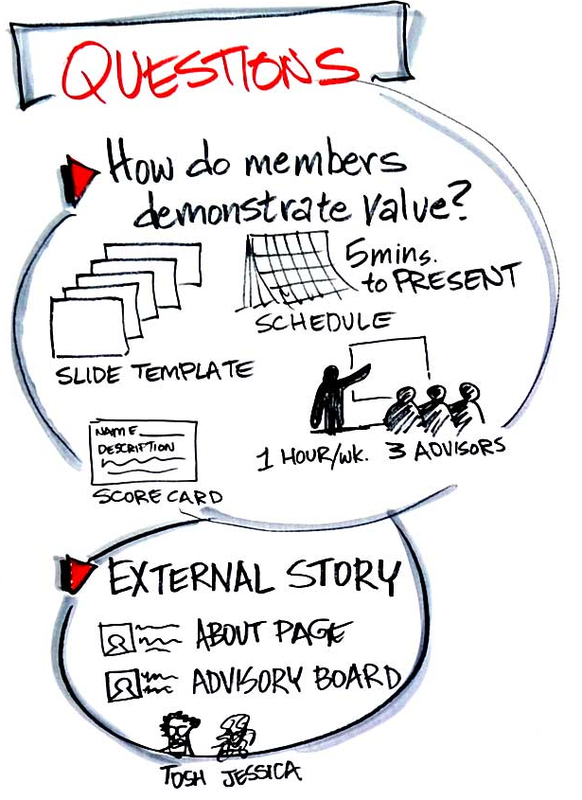 A great presentation, Powerpoint or speech will get you a long way, and the ability to communicate is essential in both getting funding and getting user adoption or partners to work with you. However, nothing sells a good idea like a working product. Whether it’s building a prototype, like we did with Ushahidi in Kenya, or a couple guys in a garage creating a new search algorithm and having to shop the product of that research around before they find investors, it’s too be expected that the work comes first, the funds second. When is funding needed then? 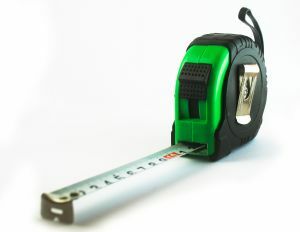 It’s needed when you have a product and it shows potential for success. Where you can talk to smaller investors who can support your work a little longer so that it can be refined and grow into something that has a real chance to make a difference, make money or both. The second level of funding is about scale. It’s when you have a proven product that already has some success and needs more than it’s current cash-flow, or personnel, to take it to make a broader impact. This last weekend was the first of what I hope will be an annual meeting for Ushahidi. 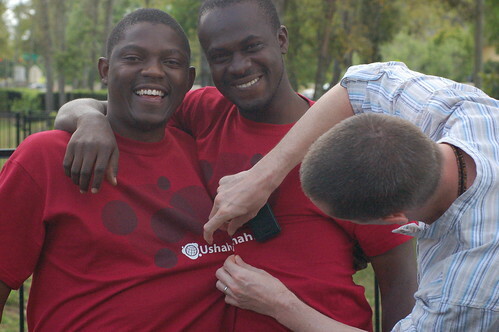 It was a time where we brought in the most active of the African programming community, and invited in some of the top subject matter experts in SMS, mapping and machine algorithms to better set Ushahidi’s technical course for 2009. There were two main thrusts for the meeting. 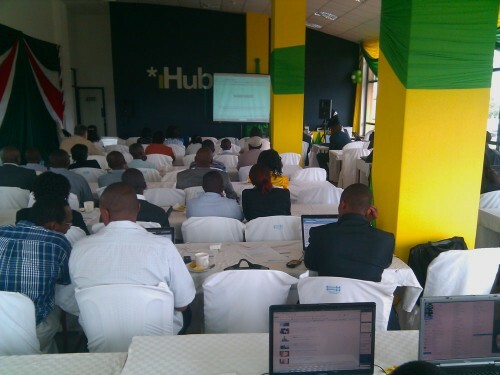 First, the current focus on getting Ushahidi to Beta. Items discussed included everything from finalizing the installer process (and simplifying it), to page load times, map tile caching and subscribing to alerts. The second was areas of future growth that we’ll be working on in the coming year. This is where we discussed how Ushahidi can fit into the microblogging and mobile social networks, Insta-wikis, Swift River and how we can work with voice and other projects like Huridocs and Sahana. 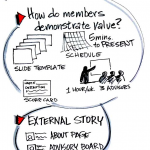 We not only covered each of these areas as concepts, but we broke into smaller groups to outline the actual next steps in getting the project moved further. This week Henry, Brian, Soyap, David and myself are spending the week together working on the most critical items on our to-do list for beta release. Others, like Kaushal, Andrew and Chris are taking Swift River to the prototype stage.